Baybayin (or wrongly known as Alibata) is the ancient writing of the Philippines. 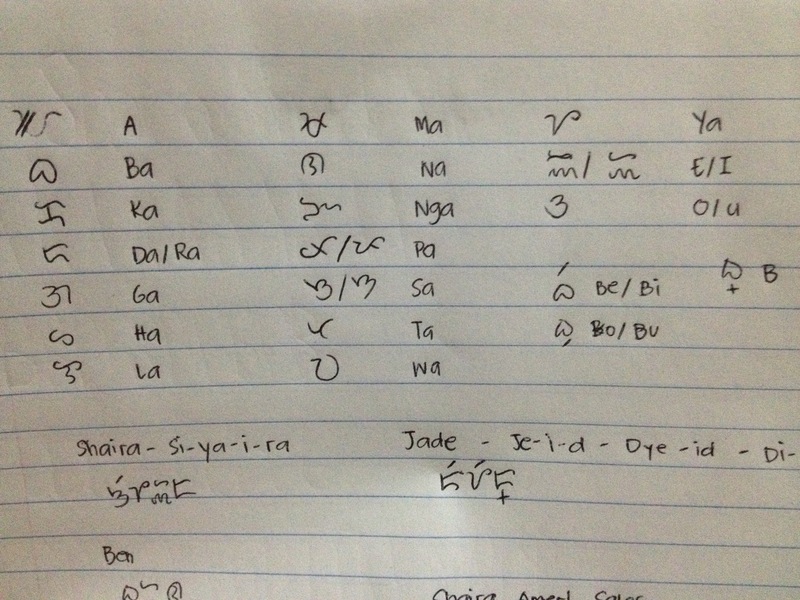 My interest for Baybayin started when I was in high school but it’s just now that I’ve taken the time to pratice it. 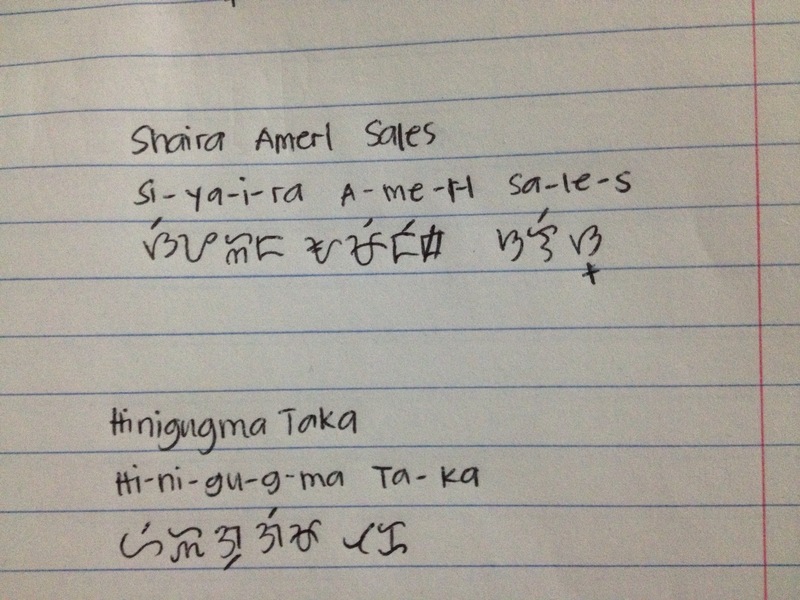 Practising writing Baybayin is difficult. The main reason is that this wasn’t taught in the school and I wasn’t really exposed to this. When I saw the characters, it really looked foreign to me and I was at awe. These characters looks so cool! Then I started practising with it. First with my name, then my parents’ name then more Filipino words. It’s quite fun actually because I feel so unique knowing this art of writing where only a few Filipinos takes interest in. As I practice writing, I divide the word into syllables based on how I hear them and how they were supposed to be in Tagalog. This is kind of tricky actually because there are times when I think if what I’m doing is right or wrong. What made it more difficult to learn this is that there’s no website that I can find that offers practice lessons for Baybayin. It gets me so frustrated to just follow the principles that I’ve read and take it from there. 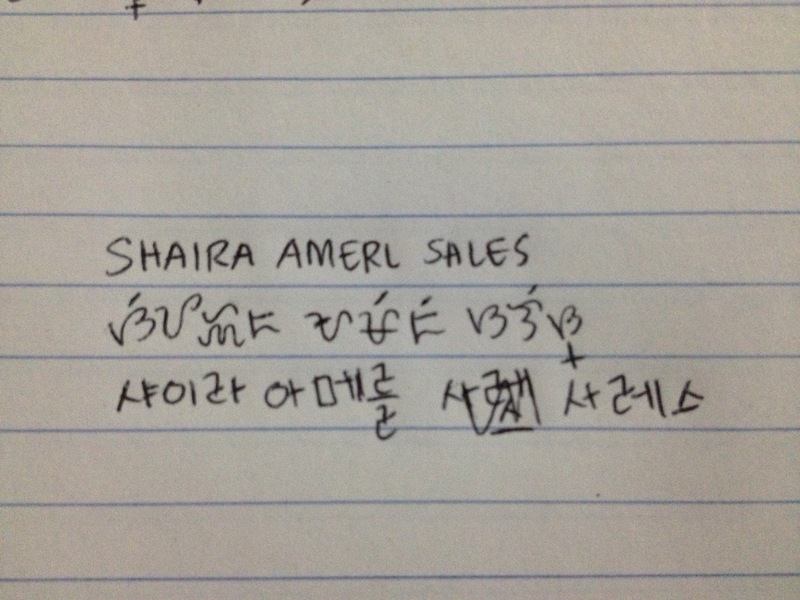 My learning in writing to write Baybayin can be compared to how I learned writing in Korean. First is that I divide the word by syllables then supply the corresponding letter. Except for Baybayin, one syllable is one character. Truthfully, I find learning the Korean writing easier than learning this. Well, it just adds to the fun, right? Below is my name in the English alphabet, in Baybayin and in the Korean Alphabet.